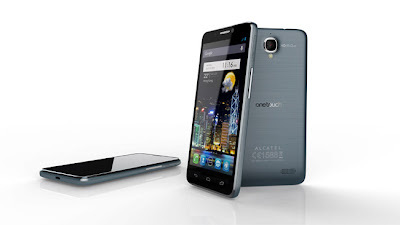 Alcatel's One Touch Idol to star in Iron Man 3! Some of you guys out there might remember that during CES we covered Alcatel's huge line up of phone and tablets which were launched. Well it turns out that we will see one of those devices in our nearest movie theatre at some point in the near future! The Alcatel One Touch Idol will take centre stage in the upcoming Iron Man 3 movie! Naturally such a big deal as this one needs celebrating and so Alcatel have launched a sweepstakes competition through Facebook. The lucky winner will have an all-expense paid trip to Hollywood to see the movie premiere on April the 24th! Obviously for us guys the phone is the main attraction, although the competition and the film are good extras. So here's a little reminder of what's inside the One Touch Idol. There's a 4.7″ qHD that's 960 x 540p IPS screen, a 1GHz dual-core processor, an 8-megapixel rear and a 2-megapixel front-facing camera set up, a 1,800mAh battery, as well as a memory card slot. There's a rainbow of colours for you to get your aluminium brushed with and Silver, Slate, Cranberry Pink, Red, Magic Blue and Mint Green are your options. All of this weighs in at a super light 110g. If this is a reasonably priced phone we think most people would have their heads turned a bit!